If you’re on the hunt for a reliable car that offers more-than-satisfying performance, then look no further. According to the editors at Consumer Reports, the vehicles made by Honda are some of the most reliable cars on the road today! The 2018 Honda Accord Sedan, the 2018 Honda Civic, and the 2018 Honda CR-V all made it to the winner’s circle, and it isn’t hard to see why. These three vehicles are likely to make it past 200,000 miles without requiring extensive maintenance. What’s more, like every Honda, the Accord Sedan, the Civic, and the CR-V all come with a wide array of exciting features. You’ll get everything you expect from a car when you drive a Honda. These three reliable models stand out from other long-lasting competitors thanks to their affordability, their drivability, and their sharp standard features. 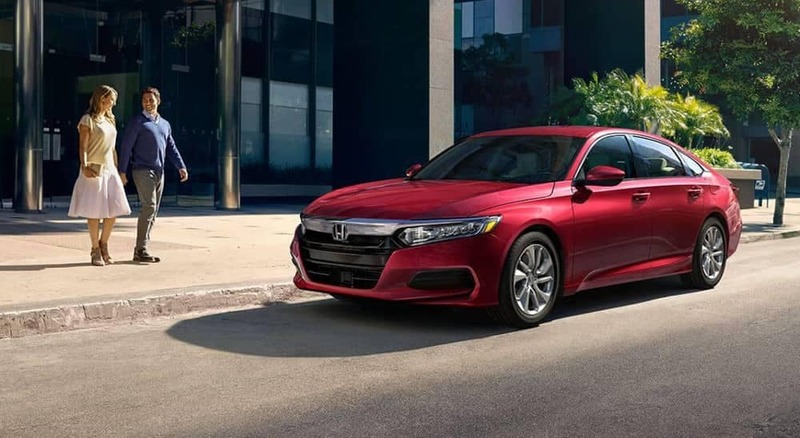 2018 Honda Accord Sedan: This notably efficient and well-appointed sedan offers Honda Sensing safety features right in its baseline trim level, and its capabilities grow as you upgrade. With its Touring trim you can take advantage of a Wireless Phone Charger, Mobile Hotspot Capability, and more. 2018 Honda Civic: This year’s Civic is offered in six different model types! The Civic Sedan, the Civic Coupe, and the Civic Hatchback correspond to three racetrack-ready models: the Civic Si Sedan, the Civic Si Coupe, and the Civic Type R. No matter which option you settle on, you’re sure to be satisfied with the features you find in this one-of-a-kind compact car. 2018 Honda CR-V: There’s no SUV quite like the Honda CR-V, which combines the interior space and off-road capability that its segment is known for with the efficiency and high-end standard features that drivers have come to expect from Honda. Starting in its EX trim level, it comes standard with Honda Sensing safety features, a Blind Spot Information System, and a new 1.5-Liter Turbocharged 4-Cylinder engine. Whether you opt for the 2018 Honda Accord Sedan, the 2018 Honda Civic, or the 2018 Honda CR-V, you’re sure to love how you feel behind the wheel. Honda’s most reliable cars are available to test drive at Honda dealerships all across Central Illinois, and when you take advantage of our current offers, you can drive off with your favorite for a great price. Contact us today to learn more about Honda’s longest-lasting cars.